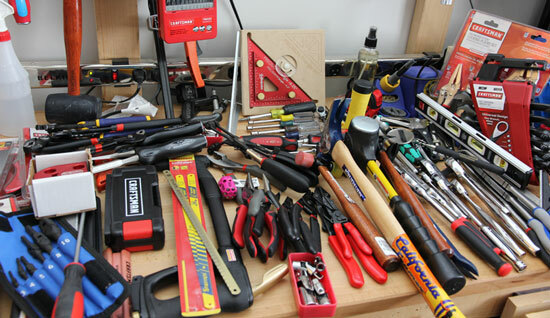 Tool Brands: Who Owns What? If you buy something through our links, ToolGuyd might earn an affiliate commission. Things have been a little quiet here, as we’re working on Spring reviews, more of our Milwaukee NPS coverage, a few small projects, and a new PC build. Rather than spring a few short posts on you, here’s a quick misc tool news roundup. I’m in need of a good garden hose. There are lots of brands out there, but rather than do any research I went with the brand I like when it comes to extension cords and air hoses. Sounds reasonable, right? I haven’t connected it yet, but it looks and feels good. I’m optimistic. Do you have go-to garden water hose brands or styles? I also need a new nozzle. 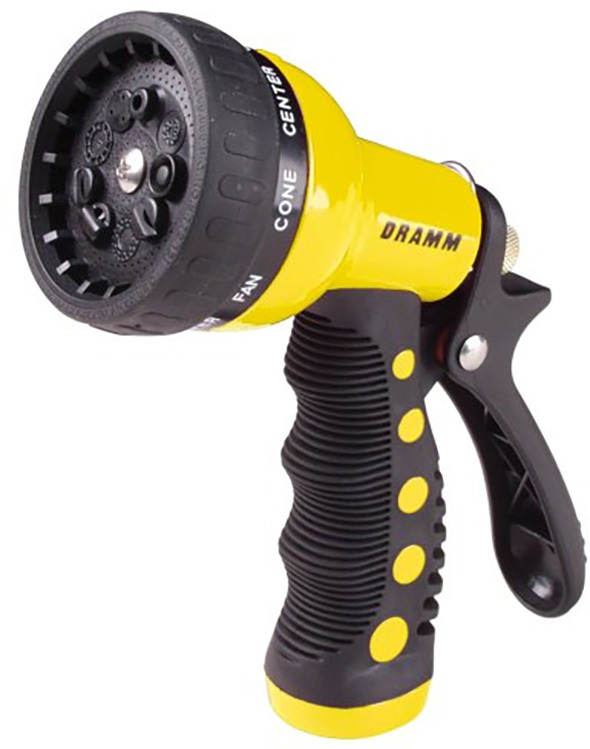 There are too many to choose from, so I took a chance and ordered a Dramm 9-pattern spray nozzle, in yellow. Nozzles are somewhat disposable – I have yet to hear from someone who hasn’t had to order a new one every year or two – but I’m hoping this one lasts at least a season or two. I would have preferred blue, but all the other colors are $3 less. It seems that yellow will stand out well, in grass, dirt, or my workbench. 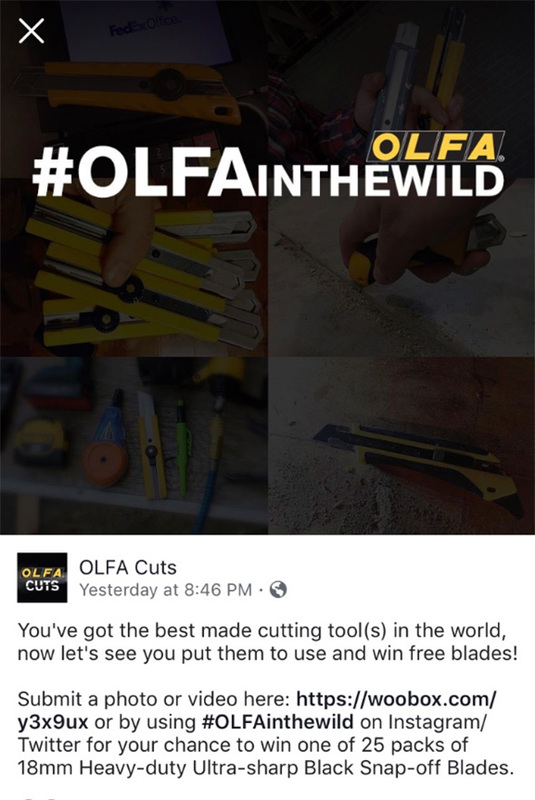 OLFA, one of our current project sponsors, is running a social media contest, where you can show off your OLFA knife for a chance to win a free pack of blades. Tag #OLFAinthewild via Instagram or twitter, or use their woobox submission process, to enter. Some of you have already received your free samples, or entered in the second chance giveaway, and so maybe you’ll be interested in this. The promo ends at the end of this month (May 2018). We have two new contributors, Anthony Sculimbrene, Andrew Wagner. I have followed Tony’s knife and EDC gear for many years now, at Everyday Commentary, and am quite fond of his writing style, expert insights, and no-BS attitude. If you want to say hello, @Everydaycomment at Twitter, @Everydaycommentary at Instagram. Andrew has been a long-time reader, and we’ve talked about having him as a contributor before. We finally pulled him in for Milwaukee NPS18 coverage, and so you’ll see more from him soon. His eagerness to talk about tools rivals my own. If you want to say hello, @byAndrewWagner at Twitter. 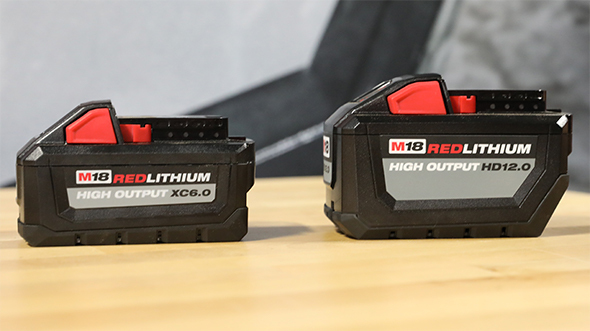 Milwaukee’s newest M18 High Output battery packs are currently available for preorder. I don’t know how, but it takes less than a minute outside before my son’s hands are dirty. And not the “rinse away with light soap and water” kind of dirt. It’s the kind where you have to scrub it away. Lee Valley’s gentle brushes are cheap – $2.50 per pair – and get the job done pretty well. My son doesn’t mind them either. From the sound of it, they tickle him. My nail scrubber, on the other hand, would likely traumatize him. So with these, I’m able to clean the dirt off my son’s hands without much fuss. I’ve been using them myself for years, but tend to use industrial hand cleaners more often. I can leave my son alone with the brush, but probably not with the commercial cleansers. If you haven’t tried these out yet, consider buying them with your next Lee Valley order. They have “free shipping on $40+” promos every now and then. My Maglite Solitaire LED flashlight has failed. I don’t even know what happened. It flickered off, so I swapped in a fresh battery. No change. Another battery? Nope. The flashlight was mostly kept near my desk, and so it hasn’t seen rough usage at all. How disappointing. I emailed Maglite, but haven’t heard back yet. Do you have a favorite mini LED flashlight? These Solitaires are quite small, sized for a single AAA battery. My favourite mini LED is the Fenix. One lumen setting but it fits into the sleeve on my Leatherman pouch. The other small light that I carry daily is a brass one I bought on MassDrop. Three lumen settings and looks super cool. Lee Valley will have a free shipping event later this month, around the 23rd or so. I would love to order a Flexzilla hose but the shipping overseas will be expensive. Second that, I personally carry a Fenix E05 and liked them enough to give them out as Christmas presents. A year later they’re still attached at the hip to every one I gave them to, literally and figuratively. Never used in personally, but if it’s as well made as their hose reels you won’t need to replace this one annually. I use this and love this. Highly recommend all of their products. I have a Craftsman black rubber hose that’s great. I bought a similar-looking Continental black rubber hose from either Lowe’s or HD and it’s not great. It feels much thinner and kinks much more easily. I also have a few Craftsman US-made rubber hoses, and I like them well enough. Just don’t try to use them with nicer clothes: they leave black marks. They can also get heavier with length. Durability is great, but I’d be interested in a review of the Flexzilla. Also, I’ve found that decent brass nozzles, while slightly less convenient to use, are durable enough to last several years. Been wanting the Flexzilla GH as the air hose is great !! Flexzilla water hoses are awesome, left under full pressure in full sun. Driven over (as long as not the ends). Best water hose I’ve owned. My wife wanted a good garden hose for Christmas 2 years ago (silly whats on our lists as we get older isn’t it?). I ended up getting the 75′ Flexzilla. It’s so good. She forgets to turn off the water all the time, we left it outside exposed and water froze in it last year. Besides being slightly lighter in color now its still just as flexible/supple as it was when I got it. My favorite part is it actually has really good connecting ends on it. They dont leak or turn as you try to attach something. You can also put a wrench on it if you really wanted to. In the house that I’m in now – and more weeks than others – we have a few hose stations out in the garden and on 3 sides of the house. I have to admit that I’m kind of agnostic about the lengths of hoses that are hung on the garden stations (I think that most of them are Swan-Neverkink brand.) At the house – we have the hoses in box-enclosed hose reels – I think all 3 from HD – so probably Suncast brand. All 3 are manual wind-up – but I’ve been tempted to try on of the Suncast automatic rewind reels – if one of the others breaks. Out in the garden – its mostly 25 or 50 foot lengths hung on hose hangers affixed to a galvanized water standpipe with some hose clamps. This arrangement requires us to have the U/G piping blown out prior to the winter – at the same time we have the lawn/garden sprinklers and drip irrigation serviced – but it beats trying to string a several hundred feet of hose from the house to the back of the garden and raised beds when you need to do some hand watering. Regarding nozzles – my wife a botanical garden-educated gardener – like Dramm Fog nozzles (12344) – fitted on Dramm Touch-N-Flow (22730) valve assemblies. She also has a some Gardena and Orbit brand nozzles stashed around the garden. I’ve abused my flexzilla garden hose and it is still in great shape. It’s spent many seasons left on the ground, frozen with water in the line, and had the summer sun beat down on it. Clean it off and it’s as good as new. The nozzles will fail long before that hose does. Thanks, good to hear! Now if only I can find a good reel. The Eley reels also get amazing reviews. Liberty makes a nice cast steel one that gets pretty good reviews and looks pretty nice. I purchased one for the barn and it’s a million times better coiling onto a hose hanger. I’m sure you saw my recent thread on the GJ on the same hose issue. It pretty much comes down to the Flexzilla and Eley hoses as the top-of-the-line consensus. I begrudgingly bought another Flexzilla. as a mechanical engineering with 15 years in consumer product design, I think the Eley reels are fantastic. Everything about them, from packaging, to instructions, to materials is just really thoughtfuly executed. I’ll throw another thumbs up for the Eley reel. It’s very well built and operates great. It is MUCH more expensive than most single-AAA flashlights, but I’ve been carrying a Surefire Titan Plus on a keychain with a Leatherman PS4 for a year or two now (in a pocket that also has a knife, house keys, and a car key) and it has worked great. The reason I bought it in the first place is that somehow the wizards at Surefire managed to make it twice as bright (300 lumens on high) as the next brightest single-AAA flashlight I could find. I previously carried a Fenix single-AAA flashlight and this thing blows it out of the water. It has a nickle-plated brass body that has held up well in a pocket with a bunch of other metal stuff. Surefire doesn’t label them “Made in USA” because they use imported LEDs, but claims basically every other part is made and assembled in the USA. Surefire’ website lists it for $100 but it is available for $90 pretty much everywhere online. Accidentally left the S1 in the pants yesterday and it survived the washer and dryer without a scratch and never leaked. I didn’t realize that they had one that would recharge that way. Guess I need another. We have some Flexzilla garden hoses we use for our mitigation work and generally I think they are great, they drag very well with our ride-on water extractor, my only problem with them is they kink very easily though I still prefer them over our more rigid hoses. To be fair ours are subject to much more abuse than a home garden would ever put them through. As to the maglite, no idea but I and the wife still use the non led ones we got over 30 years ago. As to the hose, I bought whatever brand that said lifetime from the regular hardware store. One is over 30 years old and another is over 20. So not sure a brand is critical. Many years ago I bought a few Craftsman goodyear garden hoses and they work well. Flexible in the winter and they don’t retain any coil. The lifetime warranty pkayed a factor but we’ll see how that works out when they fail. I’ve heard of the Flexzilla hoses going moldy when left outside. I also have Craftsman Nozzles that look exactly like the Dramm you pictured. I’m more partial to an all metal nozzle I’ve had forever. I have several of the black USA Craftsman water hoses with the nickel plated ends that get abused daily. I’ve had them for years and years for our business. Hands down the most durable water hose I’ve used in 25 years of my work and I’ve bought dozens of different types/brands. The rubber is indestructible but it’s the nickel plated ends that make the hoses worth every penny. I’ve driven over them even. They just don’t break, get bent or lose their perfect shape. The only down side is your hands to tend to get a little black when wrapping them up. Sadly, they’ve gone overseas now and the nickel plated ends are gone too. I’ll never buy the new ones. If I wanted junk there’s plenty of other cheaper options. We also use the red hot water hoses that Sears once carried and Ace Hardware still stocks. It’s as good as the black ones but has a smaller inner diameter to keep the rubber thicker. When I need a lot of water fast I tend not to use them because of the lower flow rate. I assume both hoses are made by the same company. If it’s Goodyear then I need to look into that. They’re the only Industrial grade hoses I’ve ever found. Craftsman garden hoses used to be great, but these days I want nothing to do with Sears. You can also get them at Ace, I think. Was the SBD deal inclusive of any Craftsman lawn and garden? Flexilla water hoses have been my choice for years. After a few summers in the sun, the color fades, but no kinks, no leaks and they are flexible even when temps dip below freezing. Careless chlorine exposure doesn’t even seem to affect them. FYI, that brush, which Lee Valley calls the “World’s Kindest Nail Brush,” can be affixed to a bamboo handle, which Lee Valley calls the “Bamboo Handle for the World’s Kindest Nail Brush.” It even comes in two lengths. I haven’t tried them, but the short one looks pretty spiffy. For a keychain flashlight, I use an Olight i3E. Tiny, cheap, but with surprisingly sophisticated optics. Much better than the similarly-sized and -priced Streamlight Nano: brighter, and uses ordinary AAA batteries. There might be other flashlights out there with similar specs though. This would be my recommendation too. Seems to fit the criteria Stuart is looking for. Smaller, more powerful and cheaper than the maglite. Still AAA sized. I carry mine inside my SOG Powerlock holster – it’s small enough that the top folds over it and still closes securely with the velcro. Sure, there are some great EDC flashlight recommendations in this thread. But none that use regular AAA batteries, produce 90 lumens and cost $10. Yeah, my only quibble with it is that it has only a simple twist switch, so it doesn’t offer different light levels. But for a keychain light, it works great. The kicker is the price. I have an Olight somewhere, waiting to be opened. I got it as a freebie when I ordered a telescope eyepiece from B&H. I’ve used Fenix before, Klarus, Streamlight, Pelican (I think), and recently ordered a Prometheus Beta. But none of that makes me any less bummed out about the Maglite Solitaire. There’s no obvious reason for it to have failed, and that really annoys me. I am circling back to this thread because Olight just released a new flashlight: Olight I1R EOS. Retail is $16.99. Two settings with 5-130 lumens. Shorter than a AAA battery. Rechargeable through micro USB. Could be worth a look! Tiny, incredibly bright. Simple, no frills. I also use the Streamlight Microstream units, but not the rechargeable version. Replaceable cells keep my downtime low when they (like all LEDs) stop quickly. I love their switch simplicity too, just on or off. All of mine came with a neck lanyard which is more useful than I had imagined. Since I’m looking into small areas rather than signaling ships, I don’t need heroic quantities of lumens. The “plain” 45 lumens/non-rechargable model is ideal for me & non-blinding on short throws. If any of mine were lost I’d certainly replace them. For aaa flashlights I love my lumintop tool. Pretty indestructible and the clip is reversible. 3 brightness settings cover everything from getting into bed without waking the wife up, through searching my backyard for my kids toys. I tend to keep eneloop batteries in it since i use it very often…. Eley hoses, reels, and accessories are the both the best and most expensive. Great products and great customer service. I highly recommend them if they fall within your budget. Might be worth it. The plastic ones that I buy in HD or Lowes don’t seem to last – I probably replace at least 1 every 5 or so years. Had an Eley swivel start leaking after several years, replaced with a phone call. The reel got dropped and the handle broke, asked if I could purchase one, they just sent it. I’m an Eley customer for life with that kind of service. Pelican is my go to choice for flashlights…they make a AAA version. My AA 1930 survived trips to Afghanistan, Niger and hurricane support in Saint Thomas. B&H have a special on the 1920B for the next couple of hours. Green only. Stuart’s Flexzilla garden hose posting is timely as I’m in the market for a new hose, since my current hosed used yesterday was full of kinks and stained badly. The flexzilla hose looked really good until I read owner comments who talked about the hose getting mold stained and looking bad (check out the pictures). Anybody have any related experience with Flexzilla hoses? We used light colored air hoses. No issues indoors – but they do get stained and discolored in heavy outdoor use. We’d wash them off if they got muddy. yes, my flexzilla hoses grow black mold as detailed in the many complaints i ignored prior to purchase. they look awful and make one worry about health effects. 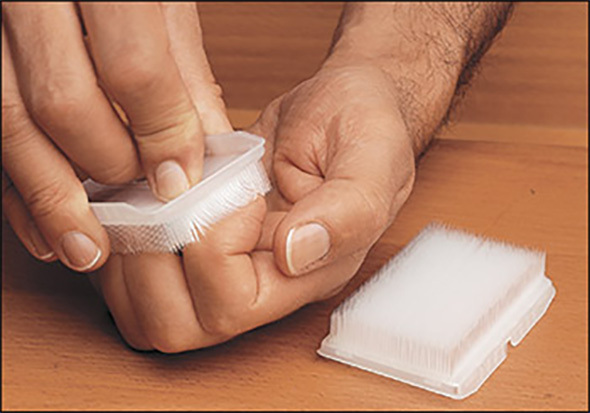 but they are lightweight and flexible and more convenient to use than others. not sure i’d buy or recommend flexzilla hoses again. Long time listener, first time caller. The Coast G10 inspection light has come to be my favorite pocket light. Takes a single AAA, has a push button, and fits great in a pocket. My first one has lasted 6 months so far with use everyday, and only have changed the battery once. Has a nice concentrated beam. And at $5 on Amazon it’s a steal, won’t have to kick yourself if you lose it. My favorite keychain sized flashlight is a USB charged Nitecore. Been in my pocket off and on the last year and still works great. Has two brightness levels and lasts longer per charge than expected. https://www.amazon.com/dp/B00OH5MIPO/ For a single AAA flashlight Fenix makes a good one if you like twist switches. I prefer a click switch and have had good luck with the generic ones from Amazon with the pocket clip. The ones I like have a reversible clip so you can attach it to the bill of a baseball cap for hands free use. 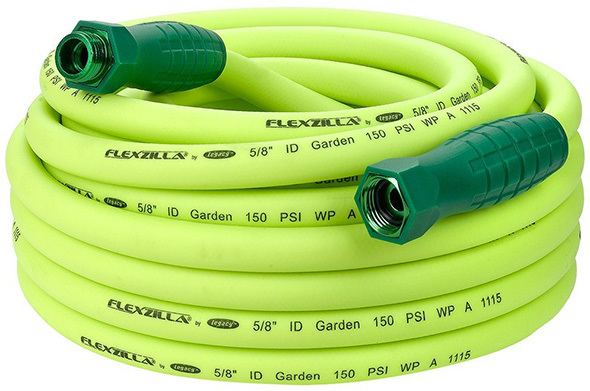 Flexzilla makes a 3/4″ x 100′ hose. I send them an email and they forwarded me a PDF with the part numbers. I was able to order my 3/4″ x 75′ through Tractor Supply. Stuart, I can forward you the PDF from Flexzilla if you want to post it. I ordered a leader hose in the non-swivel fitting configuration, to see if the SwivelGrip version is worth the premium. For hoses, I just bought a Craftsman 69602, 50ft rubber hose. There are other versions, but get this model number. It’s excellent quality, suprisingly light and flexible and about 26 dollars before shipping and I believe it is made in the US. It is not available in stores, but must be ordered, at the Sears or Amazon website. It has the usual California chemical warnings, but a website tested this hose (https://www.ecocenter.org/healthy-stuff/samples/50-ft-craftsman-premium-heavy-duty-rubber-garden-hose) and it tested very safe. Also see healthystuff.org. As for hose nozzels, they are all mostly inferior, Chinese made. They leak or squeak after one season. Usually the rubber O-rings crack. I bet there’s a way to swap out the inferior o rings with hnbr or silicone. We bought one of these hose nozzles in 2004: https://www.amazon.com/dp/B000E7YYDS. After 14 years of use, it still works as well as new. We love it. The operation is very smooth, the range of water patterns are perfect for our needs from gardening to car washing, and the thing is indestructible. Stuart, the best garden hose I’ve ever owned is the NeverKink 3/4-in x 100-ft Contractor-Duty Kink Free Vinyl Coiled Hose, sold at Lowe’s. It’s expensive, but worth every penny of the $60 price. Extra flow, no kinks and bright red color that hasn’t faded in a year of Florida sun. If you need to get your hands clean, Grassroots Motorsports did a test a few years back using different hand cleaners. What they found out is that Dawn combined with coffee grinds works pretty much as good as the best purpose hand cleaner you can buy. Somewhere I still have the first AAA LED flashlight, an Arc AAA, that I bought around the year 2000. My keychain flashlight these days is a Nitecore TIP CRI 2017. High color rendering index is is really important to me, as this was the one quality that was lost when flashlights went from incandescent to LED. They cost a bit more, but produce much nicer light. 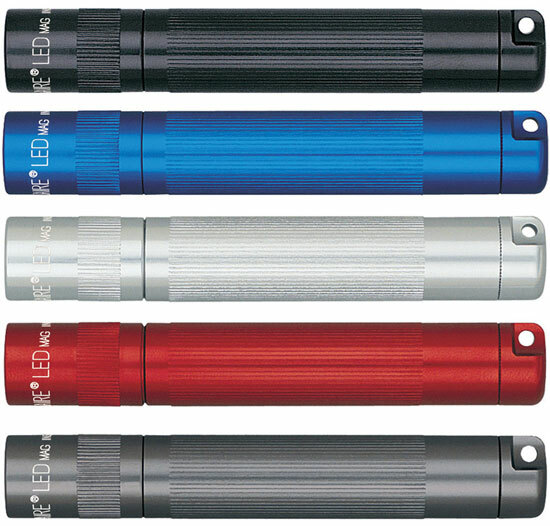 For AAA, I like the Manker E02H. Fenix E05. Its the best EDC light I have ever used. 85 lumens. I’ll second this, wife had one on her purse then baby bag for 4 years. Until one of our baby boys some how got it off her bag lol. Buy the best hose, Water Right…made in the USA….multiple series of hoses for every need, drink safe material,etc…I love mine…. I’d second that – Are the flexzilla hoses considered drinking water safe? I don’t see that when I look at them but they might be. But they are expensive for what they are – vs care of the hose. Something my wife can’t seem to do but I tried. Covered hose reels – like the suncast or ames boxes I find really prolong a hose life. Especially here in the deep south where they are used april though november. SO relative cheap hose – covered mostly – and disconnected in the winter – has lasted me better part of a decade. What I look for – must have a hex of octagonal connection end, oring, and multi layer while drinking water safe. Hosereels – I’ve had good luck with the newer AMES products – with the metal connections. I also like liberty garden products but they aren’t covered. SO on the one side of my house I have a liberty garden one but it’s mostly in the shade so far so good. I am looking for good nozzles – I used to LOVE my Gardena setup but eventually it cracked. 10 years. I love quick disconnects and I started using the orbit braded brass jobs with the shutoffs in them. THey are OK but they need atleast one time coat of grease on them. so far 2 years in. I put them on everything since I only have the 2 hoses on my house (bad setup from the previous owners). Yes, they’re said to be drinking water safe. I’ve lost every one of my Maglite Solitaires to battery swelling. The battery goes bad, it swells, and becomes impossible to remove. I’ve used this Lee Valley issued one for close to 10 years now here in Canada- still as good as new. So far my favorite garden hose has been a simply well built 3/4″ goodyear hose that feels commercial thick that was sold at lowes. Of course they don’t sell them anymore but it lives outside and is still good after…. 6 years of las vegas weather… tons of sun and heat. I am interested in checking out the flexzilla though. After we move on to our property we’ll needs lots of hose for multiple connection points around the property to water our mini orchard. I have a small collection of LED flashlights of assorted brands. Over the years I have had 3 or 4 completely die after something happened with the batteries. Sometimes it is something obvious, like a burst battery, other times it is unknown, the LED module just stops working for no obvious reason other than , as far as I can determine, something happened to the batteries. I got an Olight i3 for Christmas a few years ago and it’s just lived in my pocket since then. I’ve had a lot of flashlights but this one is small enough that I can just keep it on me at all times. Also on the flashlight subject, having had many good experiences with mini maglites in my past I bought an LED mini maglite (2xAA) and I have never been so disappointed with a flashlight. It consantly flickers from even minor jostling, and because the brightness is for some reason controlled by the direction the flashlight is facing when it is turned on, that flicker can also change between brightness settings. Sign up to receive the latest tool news. 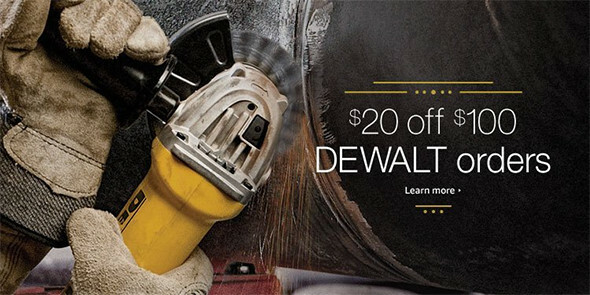 What Tools do You Wish You Bought Sooner? Reader Question: Best Router Bit Brand Recommendations? What is EDC, or Everyday Carry?